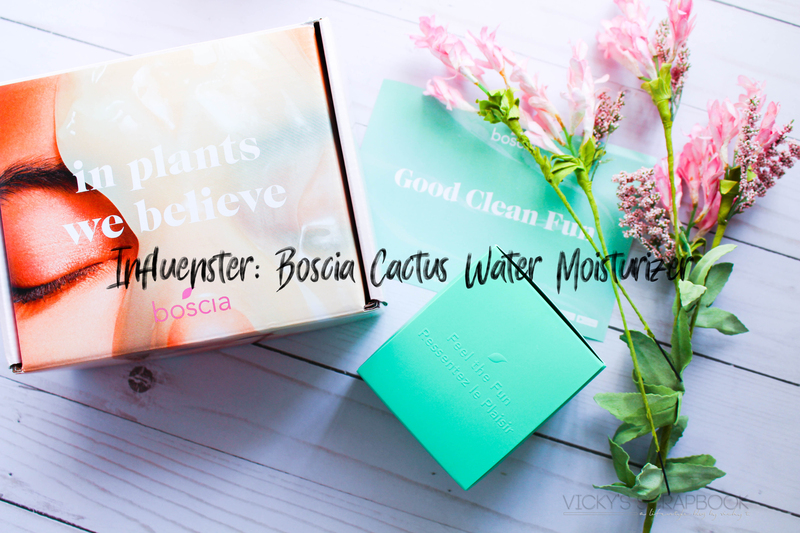 I received the Boscia Cactus Water Moisturizer complimentary from Influenster for testing purposes. The Boscia Cactus Water Moisturizer is a hydrating moisturizer that’s infused with cactus succulent. It’s supposed to leave the skin plump to improve the look of younger looking skin. The package comes with a spatula to scoop out the product onto your fingers and applied both morning and night, alone or under makeup. The moisturizer is made for combo to oily skin and for sensitive skin. It’s made without artificial fragrance and color, it’s gluten free, and it’s preservative free. The texture looks like a gel but it’s actually a cream and has a light fragrance. In my personal opinion, I don’t think it’s hydrating enough for dry skin but it will probably do well for combo and oily skin as it suggested. I kind of wish I got this prior to my trip to China; it’s a lighter moisturizer than the one I’m currently using and I feel like it would do better in humid areas. In comparison to my thicker creams, I feel like it would be a good moisturizer to try to switch to for the coming hot summer. Have you tried this moisturizer before? Oh this sounds like the kind of moisturizer that I need 🙂 Can’t wait to try it! Sounds perfect for the summer months! And yes, definitely perfect for traveling abroad to Asia! Hey, this is Vicky! I'm a designer living in Los Angeles and this is my digital scrapbook, where I share DIY, Fashion, Beauty, and Lifestyle ideas and inspirations. Oh and I'm one of those people that like to take pictures of food (Follow me on Instagram @vicckyt for more on that)!